It's been a while since we ran a Ninterview, but we're back with our first of 2013. This time, we're speaking to cosplayer Regina Marie, better known as RikkuGrape. 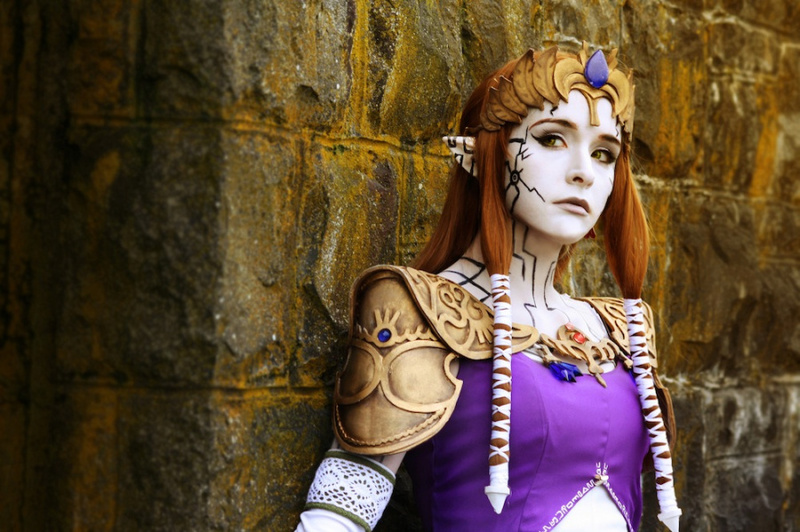 She's dressed up as a wide variety of different characters, but we're most interested in her amazing replications of individuals from The Legend of Zelda series. We caught up with Regina recently to ask her a few questions, so sit back and enjoy. Regina Marie: My name is Regina Marie, or RikkuGrape, and I am a cosplayer. What I do is replicate and recreate the costumes and props of characters from video games, movies, T.V shows or really anything that I love and try and bring them to life in a way that really compliments the work of the original creators. NL: When and how did you first get into cosplay? RM: I first got into cosplay when I was probably 15 years old. One of my friends had a cosplay party for her birthday. I had never even heard of cosplay but when she told me what it was I decided to try it out and it's stuck ever since. I usually make one costume a year, but last March I started getting into cosplay more seriously and since then I have made five costumes. NL: You've become a couple of Nintendo characters, both from The Legend of Zelda. Is there anything particular as to why you picked them? Are you looking to try any other Nintendo characters soon? RM: I picked Zelda and Saria because they are some of my favourite characters from the series. I love the regal representation of Zelda in Twilight Princess. To me, that representation of her is beautiful and strong. But mostly, I loved the great details and designs in the Twilight Princess version of her costume. As for Saria, I've always thought she was adorable. She is Link's strong-willed friend, and she always connected with me for some reason. Plus, I love the colour green! I do plan on cosplaying other characters from Nintendo games. I'm currently working on a Zelda costume from Skyward Sword as well as making the version of Princess Peach seen in Super Mario Sunshine. The other costume I'm looking into - and hoping to start and finish in the next few months - is Power Suit Samus Aran from the Metroid series. I'd also like to cosplay as Luigi with his Poltergeist 3000 someday, too! NL: What kind of reception do you get when appearing as Zelda or Saria? Do you get a noticeably different response to the different characters? RM: I've never actually worn Saria to a convention, but I have worn Zelda to quite a few. The first convention I debuted Zelda at was SakuraCon, and then again at PAXPrime. The response I get while wearing Zelda is really positive. People love the costume, and really appreciate all the details as well. I've received many compliments on both costumes though, which makes me feel really great. I put a lot of work into making both so it makes me happy to know that they are well-received. NL: What advice would you give readers who are interested in getting started with cosplay? RM: The biggest advice that I can give people is if you are interested then don't be afraid to start! Cosplay is all about having fun, so cosplay the characters you love and have fun with it. NL: What is your earliest memory of Nintendo? RM: I was introduced to Nintendo when I was just a little girl. My older brothers saved up all their money and purchased the N64. I remember trying to play all the "big kid games" my brothers played and often getting scared of the bosses. RM: This is so tough. I'm a sucker for The Legend of Zelda series, of course, but I really love a lot of other games too. Luigi's Mansion, Diddy Kong Racing, Donkey Kong 64, Banjo Kazooie - those are just some of my favourites. But, I guess if I had to choose, I would say The Legend of Zelda: Majora's Mask is probably one of, if not my all time favourite. I've beaten that game to 100% so many times I can't count. I have it memorized from front to back with the exception of a handful of heart pieces too. I just love everything about that game. It's so off-kilter, it's fantastic. NL: What is your favourite Nintendo character and series? RM: My favorite character would have to be either Link or Samus. But I think my favourite series is Paper Mario. There's just something about the overall charm of the Paper Mario games that really gets me. Not to mention I enjoy the little bits of sarcasm and what they do to reach out to the player, like mentioning when Mario doesn't understand that all is well because "those outside will know". NL: Do you think we'll ever see a Nintendo-endorsed Legend of Zelda film? If so, who do you think would make a good Zelda? 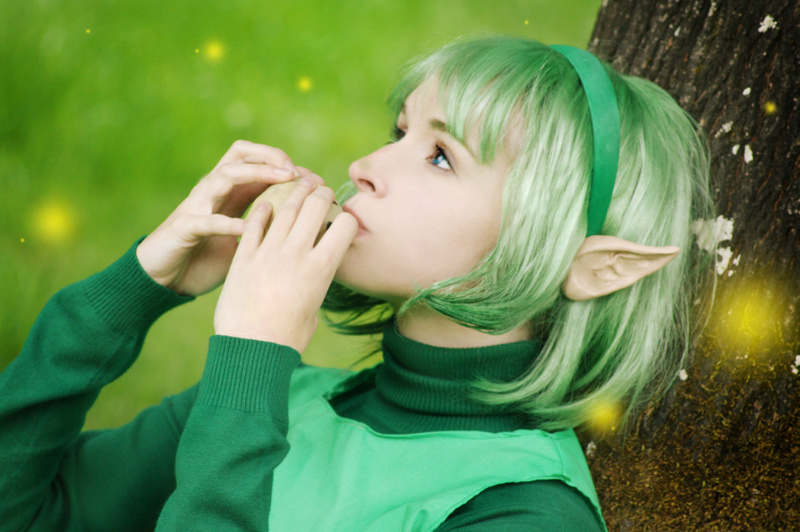 Or Saria? RM: Oh gosh, I'm not sure that we will ever see a Nintendo-endorsed Zelda film, but if we did that would be really awesome! I really admire Akuriko's representations of Princess Zelda, and the little Saria from The Zelda Project is absolutely adorable. There's a lot more than just looks that goes into acting, but assuming they fit the acting role I think they would be great for capturing the overall aura of both the characters. RM: Nintendo 64 all the way! It is the first system I remember playing on and I grew up with it before being introduced to any other consoles. It has some of my favourite games, and I just love everything about the console. It makes me feel like a little kid again. RM: I love that video games are an escape from the stress of everyday life. I love being the Hero of Time one night and ridding mansions of ghosts the next. For me, games are a way to relax - even if I keep dying on a boss level, or I can't seem to solve a puzzle. I love to play games, and think what it would be like to live there or be the characters. NL: What is your favourite part of Nintendo Life? RM: My favourite part of Nintendo Life is how positive a community it is. I love how informed the articles are and how receptive everyone is. I also love that Nintendo Life brings all sorts of information to one place that is easy to access. The information is diverse and is relevant, too. RM: I think the future for Nintendo can go anywhere. Nintendo has always been a company that does what it wants, I think. I know that competing game companies will say things about graphics or technologies, but Nintendo is always innovative, and I think that really keeps them awesome. I love Nintendo for its classic series, but also for its ability to fit the needs of families, serious gamers, and those in between. I can't wait to see what Nintendo will do in the future with their consoles and with the games. RM: I grew up on Nintendo and it will always be my number one. I love the variety you get with the games, and nostalgia of all playing the games I grew up on never gets old. I think it's that charm that really hits home for me. It's fun to see how the company I've loved from childhood grows and evolves. NL: Thanks for taking part! Finally, how can our readers follow you? RM: You're welcome, and thank you! Your readers can follow me on Facebook, DeviantArt or Tumblr. Those are the most detailed cosplays I've ever seen! I just love how much attention to detail she's put into her costumes. It's things like that that make her cosplaying all the more beautiful and impressive. Wow great costumes. It always amazes me how much detail cosplayers put into their costumes. I have heard though that it can get quite expensive. OMG, IT'S ZELDA!!! SHE'S FANTASTIC!!! Wow is she good as cosplay! @MeloMan Pretty much my first thoughts as well, especially picking Majora's Mask as a favorite game, same tastes as me. Seriously though, she definitely puts a lot of work into her costumes, quite breathtaking. 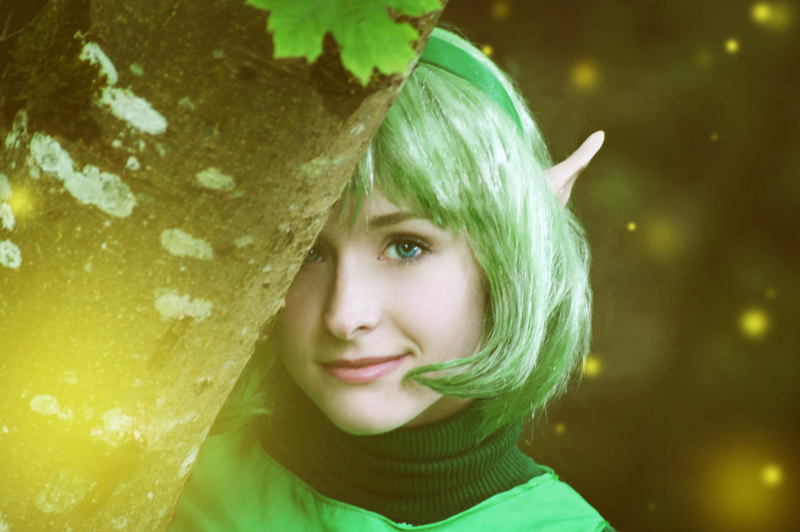 I've seen a lot of Zelda cosplays but that Saria... Wow! 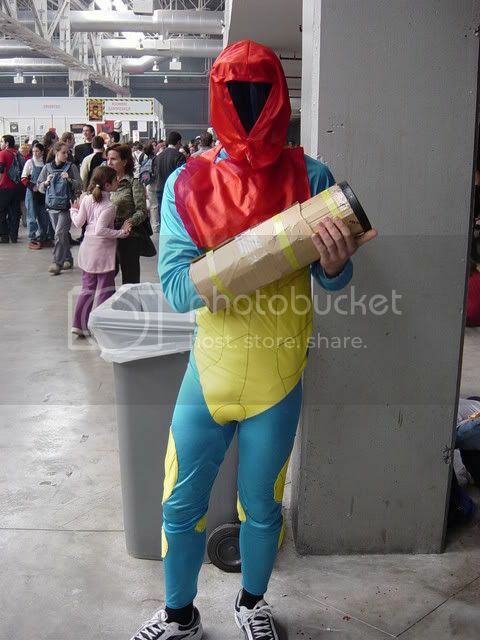 And here I thought all cosplay costumes were plug-ugly. Her costumes are so awesome, I seriously thought the first picture in this article was actually from the game, even if a moment like is never in Twilight Princess. Really freaking awesome. If they ever did make a Zelda movie, they should hire her to make the costumes. Good to see the N64 and Majora's Mask as her faves. Her costumes are absolutely stunning but I assume that it costs quite a bit of moolah to support that lifestyle. That Twilight Princess costume is not only spot-on, but looks pretty natural in its transition to the real world-- something that very few costumes can ever pull off. I imagine she'd fit the part should a film ever be made (which, while it shouldn't, could be done right with attention to detail like this). Wow... they're all fantastic! Words probably can't describe how awesome those cosplays look! And I don't even like cosplays all that much! She's beautiful. 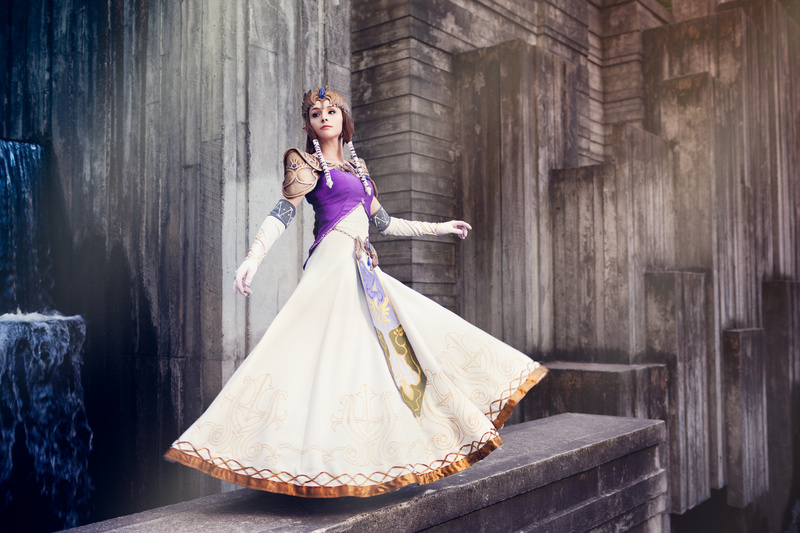 I would love a Zelda costume like the one she is wearing in the picture where you can see her entire dress and the background has a Twilight Princess feel to it. Her costumes seems to be really well made and she fits into the characters she wants to look like, she obviously has talent. Unfortunately, there are people out there who are equally or more talented than someone like this, but don't get the recognition because they're considered less attractive. I guess humans can't help but worship beauty. Very good interview! I respect it! Whoa. I thought the title pic looked liked CGI.Plus, those costumes look amazingly well made. I.....I...think I may be in love with her! She looks so cute in the Saria costume! Insane level of detail on those costumes, haha. I will say one thing about someone like her. She knows how to portray a DAM good looking Saria, that's for sure. 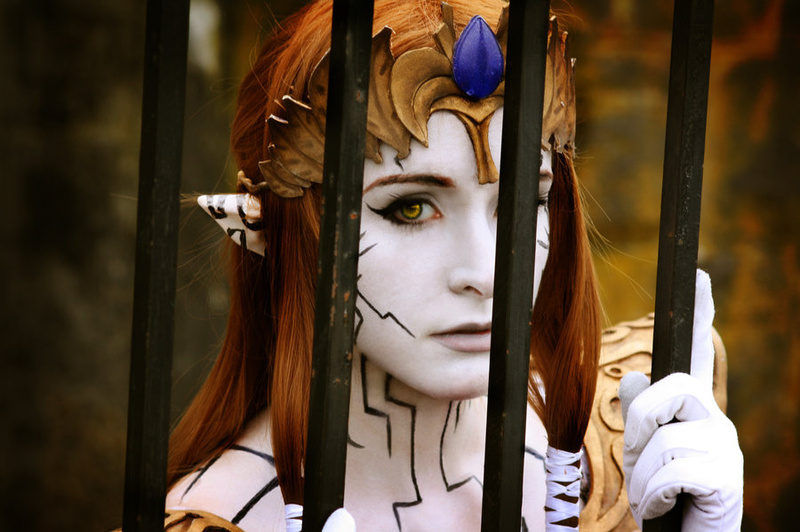 I saw a couple of Zelda cosplayers before in the past, but her Twilight Princess version of Princess Zelda looks the MOST SPOT-ON I've saw in awhile. While, I will admit that Majora's Mask is a DAM good game, I always will still hold Ocarina Of Time to my heart as one of the best Zelda games of ALL TIME out there. I'm glad she said she want's to try doing Power suit Samus; not the overdone, uncreative "Ero suit" everyone likes to do. @edcomics You're surprised? This is the Internet, and these are gamers we're talking about. lol I can't help but feel you're kind of attacking her with that comment. Amazing costumes. @Edcomics, how dare she be beautiful and do cosplay too, shame on her. I guess shame on me cause I think she looks great. Keep up the good work, and keep loving what you do. @MagicEmperor It was more of an observation, and in hindsight I probably should have kept it to myself. As you suggest, there's no reason to be surprised. I just wonder if anyone would be interested in she had a more portly physique. The interview almost elevates this person to a sort of celebrity status based solely on these photos, but doesn't really ask anything about the actual craftsmanship involved in creating the costumes. How does she choose materials that will elevate the quality of the costume? Who takes the photos? What type of digital alterations have been made to the photos? I respect the effort that goes into producing the costumes, makeup and photography. I wish I could dig up a particular image of a group dressed as the barkeep and bar patrons from Twilight Princess. That was some really impressive stuff that has essentially gone unnoticed, and it's a shame. In the end, I guess the prettiest people with the fanciest photos get the attention, and that was really my original point. @Zodiak13 I think you're inflating what I said quite a bit. As I said above, I respect the invested effort. The woman admits to only being into cosplay seriously for the last year or so, which is kind of insulting to people who are more serious about it. Of course, NintendoLife can interview anyone they want. I just found myself wondering "Why THIS particular person? 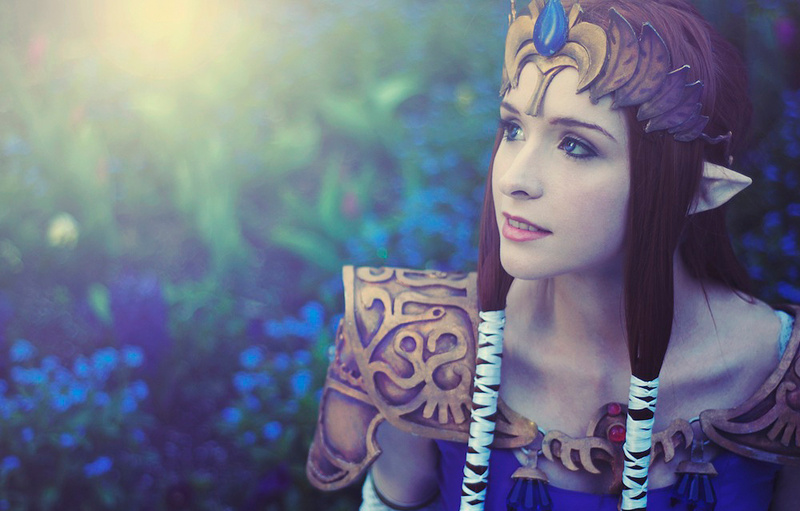 Why not a general showcase of Zelda cosplay?" Of course, NintendoLife could decide to turn this topic into a monthly feature, interviewing a different Nintendo-themed cosplayer every month. That would be interesting.